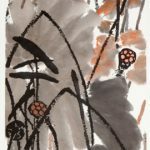 GEBIS and Confederation Centre Art Gallery are proud to invite world-renowned artist Dianyu Zhao to share his mastery of the thousand-year-old Asian arts of poetry, calligraphy, painting, and seal engraving to create these classic Chinese ink wash paintings. 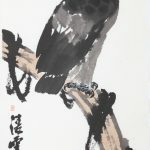 Zhao, born in December 1943, is an acclaimed Chinese ink-wash painter with many notable works in “bird-and-flower painting”, a significant motif originating from the 10th century. 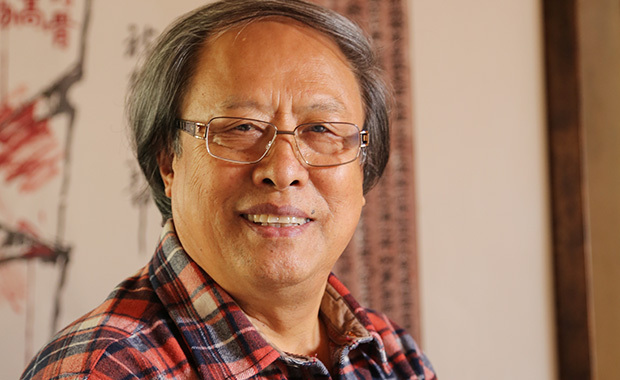 Accredited as a first-rate artist in China, he first received training in Western painting, then in Chinese painting, before studying with the talented Liangchi Qi, son of legendary painter Baishi Qi. 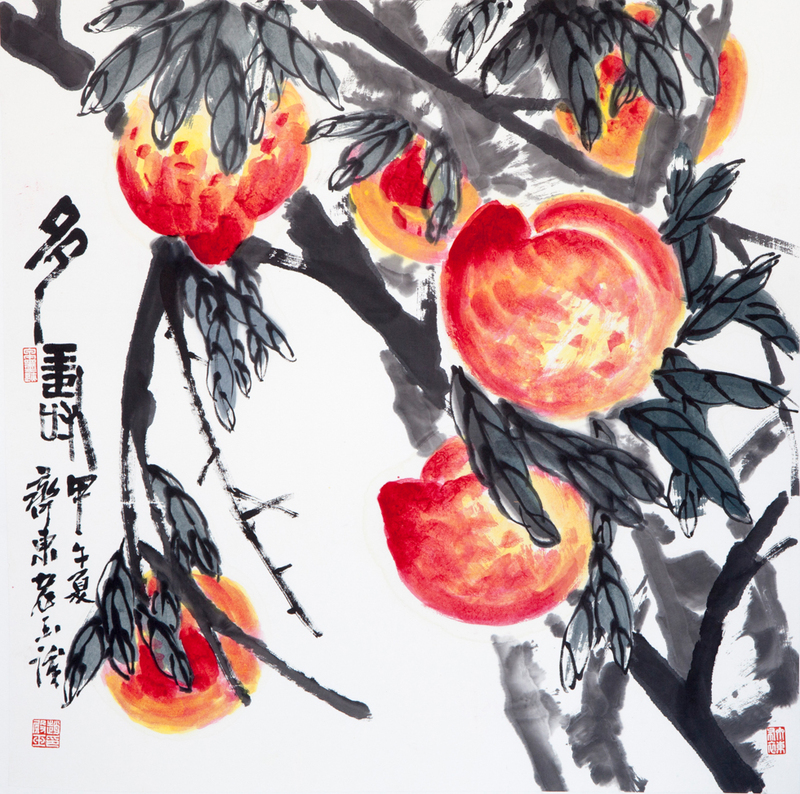 Zhao became Qi’s top student, equipped with a strong foundation in various disciplines of painting. Following that, Zhao also devoted some time for research at China’s National Palace Museum. His works for Chinese New Year were noted as one of the most reprinted works of art to date. As seen from Zhao’s work, his brushstrokes are expressive, confident, and unrestrained. He implements vigorous strokes with bright colours and strong contrasts. His paintings express a deep love for humanity, capturing sentiments of daily life. 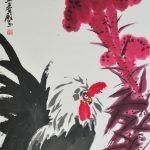 The distinct and unique artistic style give viewers a glimpse into the inner world of a Chinese scholar. 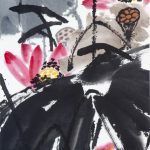 This exhibit showcases Zhao’s more recent works. The paintings are displayed using an ancient Chinese tradition of hanging scrolls. 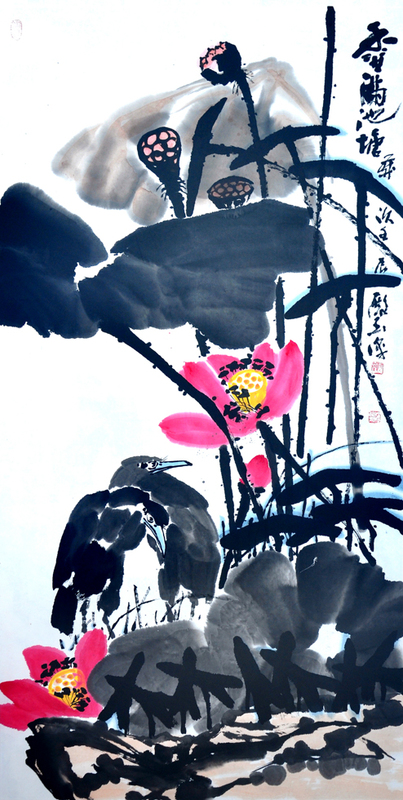 The expressive brush paintings of flowers and birds is a prominent feature of Chinese art. This collection of work reflects the rich symbolism within Chinese culture. 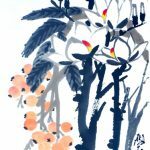 Consistent with the values of traditional Chinese artists, Zhao explores the subject beyond its form by imbuing the illustrations with his emotions and ideals. 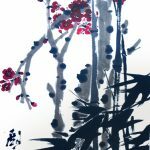 For example, the plum blossom, which blooms in winter, represents strength. The orchid gives off its sweet fragrance despite being unseen by others, and is a symbol of integrity. 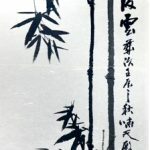 The bamboo is hollow within and stands upright, representing humility. The chrysanthemum does not fight with other flowers for attention as it blooms when others wilt, making it an emblem of simplicity. The evergreen fir tree marks endurance and strong resolve; the pristine lotus that grows from mud personifies purity and nobility; etc. 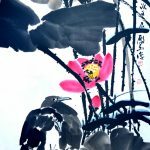 For generations, these subjects have been adopted by Chinese artists as a means to express their feelings. 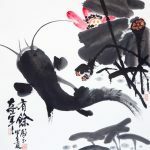 Within Chinese art, capturing the essence of the subject is the highest form of aesthetic expression. The paintings in this collection portray the characteristic of each subject rather than the details in its appearance, thereby revealing the personal thoughts of the artist. The certitude and precision behind each brushstroke exhibits the artist’s mastery of this artform. 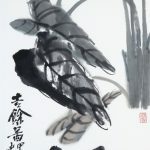 Ink wash painting is a unique type of Chinese brush-painting, inspired by the traditional Chinese “naturalistic view”. The painter pursues an intrinsic state, capturing the spirit of the object, free from the bounds of simply reproducing a concrete image; this concept is very different than the usual artistic approach of Western monotheistic cultures. 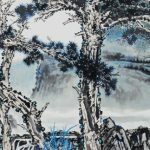 In the Chinese “naturalistic view”, one explores the role of humans within the scope of nature. 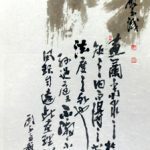 It is believed that the deeper one can reflect and practice this philosophy, the greater one can reach one’s fullest potentials. 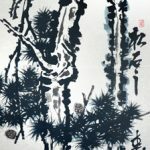 The form and technique of Chinese ink painting is based on the artistic usage of water, ink and space. 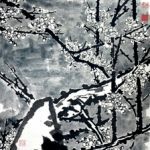 The “Six Principles of Chinese Painting” by the renowned Chinese art historian Xie He (479-502), is regarded as the standard for appreciating and evaluating Chinese paintings. 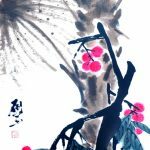 The six principles highlight each work of art’s overall essence and touches on both material and technical aspects of ink painting. Each painting is critiqued according to the painter’s skill in conveying the overall essence of a piece of art, the way the brush is used, the depiction of form, the application of colour, the arrangement of space and depth, and one’s ability to capture the spirit of the model.